Two corrections today. 1) I don’t care what you give away on WIST. That was a lighthouse night light lamp that I thought was probably a gift from some family member since I have one exactly like it! I encourage discretion. 2) Birds don’t really starve if you stop filling feeders for them. That really is a “bird hugger’s myth” that applies only to a living area, say large city, with no natural food available. I stopped feeding them several years ago when I realized we, I, live in the middle of a huge area with both natural foods and water. Seeing goldfinches eating thistle seeds in a field is far more rewarding that watching them devour sunflower seeds – for me, that is. 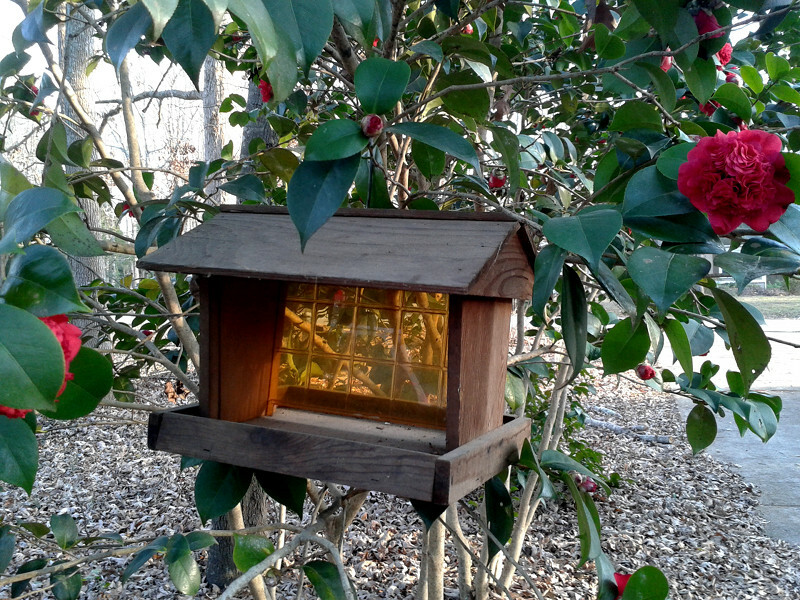 But a young friend has given me for Christmas a squirrel proof sunflower seed feeder. When I was standing in line waiting to pay for my black oily seeds, a kind lady asked questions and I learned I have the wrong variety! Bought them anyway and told the lady I’ll put up a sign for the birds promising to do better next time! I may need to put up a sign for a Carolina wren, who was observed this morning checking out one of our hanging baskets on the front porch. I’m afraid the warm days and nights have them thinking of nesting, but there’s “NO VACANCY” there. That spider plant is moving back into the garage when the weather remembers it’s winter!